My most serious hobby since childhood has always been singing. I use singing to nourish my soul and reduce stresses of life. I'm blessed by this great gift of my life. It helps me to also be more tuned and fresh with my clients in psychotherapy sessions. I currently sing as a Soprano in the "Oakham House Choir" of Ryerson university. 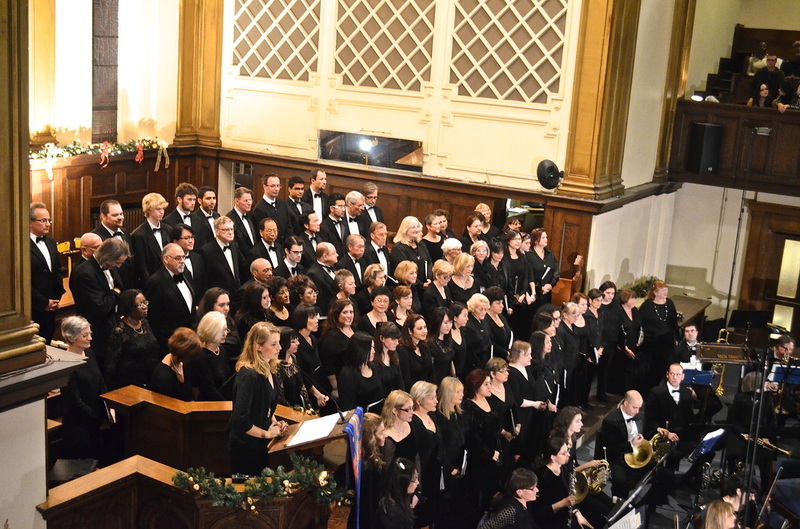 The Oakham House Choir was established in 1984 by Professor Marie Dowler of the Ryerson English department and Matthew Jaskiewicz, a former conductor with the Warsaw Chamber Opera. The choir grew steadily under Mr. Jaskiewicz’s direction. As its musical standards rose, its repertoire expanded to include many of the best-known choral masterpieces. Today the Oakham House Choir is a respected ensemble and an integral part of Toronto’s music scene. I had the chance to participate in two classical concerts with this established and fantastic choir. We performed a concert entitled "Crowns, Toys, and Songs for Christmas" on Dec 1, 2012. It was held in Calvin Presbyterian Church and was based on of one of the Mozzart's masses. In April 27, 2013, we performed another concert entitled "Opera in Disguise" in this same church which was based on Puccini's mass. When I lived in Iran, I used to sing in an Iranian pop choir conducted by Hamid Panahi, one of the most famous vocal trainers in Tehran. He was also my personal vocal trainer for more than 7 years. In addition, I took some courses in Iranian traditional singing with Najmeh Tajadod" She is a well-known singer in the band "Kamkars", which is one of the best traditional music bands in Iran. I also have experience in classical singing with Alireza Shafaghi Nejad, the conductor of "Iran Philharmonic Choir". I completed the preliminary training with this amazing choir, but did not perform with them as I chose to embark on my journey to Canada.